We have already published holiday guides for mobile devices, motherboards, GPUs and SSDs. Today, we will take a look at the various options available in the commercial off-the-shelf (COTS) network-attached storage (NAS) market space. We have evaluated a large number of NAS units (with different bay-counts) over the last couple of years. The lineups mentioned below (in alphabetical order) are the ones that we are comfortable recommending for purchase after putting a few of their members through long-term testing. Even though two-bay NAS units are a good fit for the average consumer, the typical AnandTech reader is probably looking at units with four or more bays. With this in mind (and the reviews that we have published before), the rest of this guide will focus only on four and eight-bay diskless units. Another point to note is that we are not considering the multitude of offerings that come with Windows Storage Server or some similar flavor. Only products based on custom OSes are being considered in the guide. Despite being released almost two years back, Lenovo continues to keep the firmware updates flowing (with the latest one addressing vulnerabilities and improving the UI released earlier this month). One of the updates also fixed our main gripe in our original review - the unit's shares disappearing and hardware locking up after a few weeks in operation, with a power cycle being the only way out. I have been running the unit without reboots since June 2014 and am happy to say that the unit is now fit to enter our recommendation list. The list of reasons to choose this are below. If any of these don't apply, feel free to move on to the other options. On the plus side, the ix4-300d has two gigabit links and also supports 802.3ad dynamic link aggregation. The ~$200 street price makes it an absolute steal. 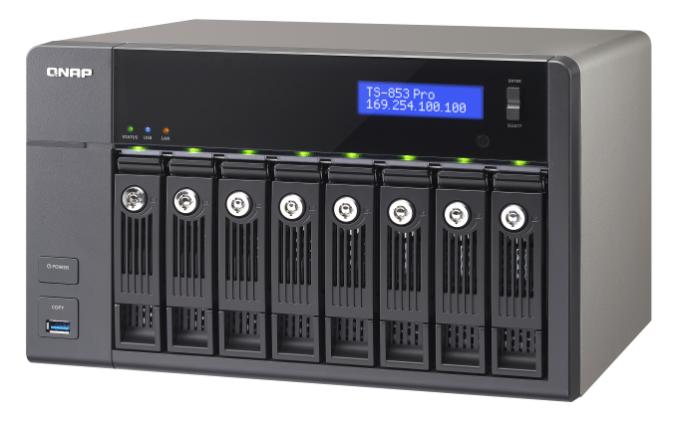 The QNAP TS-451 and TS-853 Pro are perfect choices for power users in a home scenario with multimedia-heavy workloads (in terms of streaming videos to various devices with different transcoding requirements). The current Newegg listing for the TS-451 includes 4 GB of DRAM compatible with the TS-451. Augmenting the internal memory of the unit can make it fit to run a virtual machine using QNAP's Virtualization Station package. The TS-451 is perfect for users expecting 1 - 5 simultaneous video streaming clients connected to it. For those wanting to experiment with multiple simultaneous virtual machines / requiring more number of bays, the TS-853 Pro is an excellent, albeit, much costlier choice. Our review of the TS-853 Pro should go up before Christmas. Obviously, since we are recommending the unit here, we didn't find any showstopper issues while evaluating it. The 2 GB version can't run virtual machines. The 8 GB version is the one to choose if you are planning on running some VDI applications. Both Synology and QNAP have excellent mobile apps and third-party apps for their operating systems. Though QNAP has some nifty differentiating features such as the ability to run virtual machines using Virtualization Station, Synology wins out on core features for the business users. In particular, if iSCSI support is important, the options provided by Synology are simply unparalleled in the sub-$2000 COTS NAS market space. The performance benefits (particularly in terms of latency) provided by Rangeley over Bay Trail, coupled with true hardware acceleration for encrypted shared folders make the DS415+ and DS1815+ easy to recommend for business users. 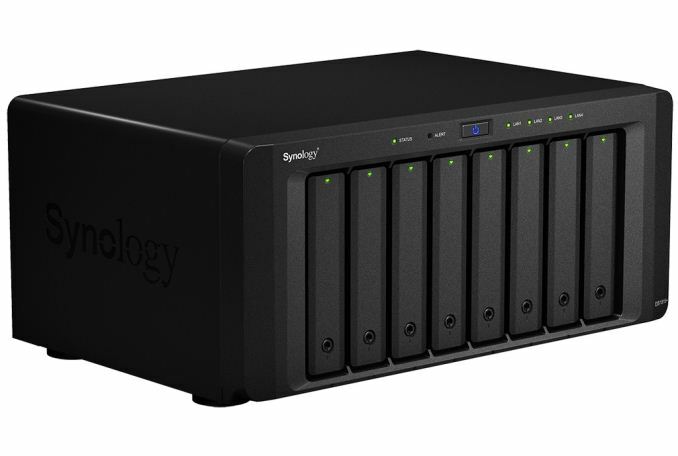 Simply put, if you run a SOHO / SMB and need a fast and reliable NAS which excels at its core task of handling storage functions, the Rangeley-based Synology units are the best fit. Home users looking for a single point of contact for both the NAS and the hard drives can opt for the WD Red-equipped My Cloud EX4. Recent firmware updates have improved RAID-5 performance. Similarly, SOHO / SMB users with similar 'single point of contact' requirements can opt for the Seagate NAS and NAS Pro units. If disaster-resistance is needed, there is no alternative to the ioSafe units. The ioSafe 1513+ is fit for business users, while the ioSafe 214 is good for home users. Since both units run Synology DSM, the overall experience is great. Except for the Netgear ReadyNAS units, all others use EXT3 / EXT4 filesystem for the RAID volumes. Netgear is hoping to stand out in the crowd with the use of btrfs. We did evaluate the RN312 (2-bay Atom-based unit) and the RN716X (6-bay Xeon-based with 10GBASE-T capabilities) last year, but haven't had the chance to put them through long term testing yet. Other than the fact that I would like the new approach to gather some more field reports, I am very impressed with what Netgear is able to provide with the new systems: snapshotting with virtually zero overhead for protection against accidental deletion and data scrubbing / bit-rot protection with minimal overhead. I would personally be wary of trusting a btrfs-enabled ReadyNAS unit with the only copy of any data, but the benefits of ReadyNAS OS 6.x do make a compelling case for testing out. A look at a couple of build options for DIY NAS units will be published next week. 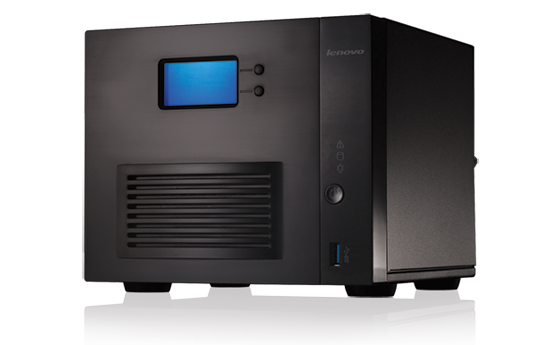 Would have loved to see EonNAS reviewed along-side these excellent appliance-NAS solutions. Synology has the ability to manually do data scrubbing (read patrolling has the same end effect). Solid guide, I have personal experience with the Lenovo/Iomega and WD MyCloud NAS units and they are cheap, solid units that work well for a home environment with limited concurrent connections and lower end demands (network streaming, non-speed intensive transfers etc). I would love the performance of some of these Synology/Qnap boxes that use Intel's Atom platform, but they are too pricey for me to justify them for home use. One other brand that I have read favorable reviews on that slots in between the Iomega and Qnap/Synology's of the world is Buffalo, good performance at a price point that is on the lower end of the spectrum.